Dr. John Zuk was an aeronautical engineer at NASA Ames whose research and studies laid the groundwork for commercial helicopter and tiltrotor short haul commuter applications. Zuk was employed at NASA from 1965 until his retirement in July 2007. Most recently, he was the Extreme Short Take Off and Landing (ESTOL) Vehicle sector manager for the Vehicle Systems Program of NASA. The ESTOL Vehicle Sector strategically directs project activities for near-vertical takeoff and landing research and development. Zuk was born on October 30, 1938 in Westhampton, Long Island, New York and attended Westhampton Beach High School. He graduated from The Ohio State University with a Bachelor of Mechanical Engineering in 1961, and later earned a Master of Science in Mechanical and Aerospace Sciences from the University of Rochester in 1965. Upon graduation, Zuk joined NASA Lewis (now Glenn) Research Center as an aerospace engineer specializing in propulsion research where he remained until 1977, when he transferred to NASA Ames Research Center at Moffett Field. During his tenure at NASA Lewis, Zuk also earned a Doctorate of Engineering from Case Western Reserve University in 1972.
branch and office chief, to technical, project and program management. He was a Gold Circle member of the American Helicopter Society, an Associate Fellow of the AIAA and a member of the Society of Automotive Engineers (SAE). During his government career, Zuk received numerous awards including the Collier Trophy Award as a team member of the Industry/NASA Propfan team, the Research and Development 100 Award, and the NASA 2000 Turning Goals Into Reality (TGIR) Award for tiltrotor noise reduction. 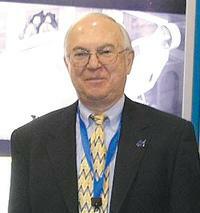 He authored more than 48 technical publications and was co-inventor of an environmentally friendly anti-icing Q fluid. Dr. Zuk passed away on January 6, 2008. He was a resident of San Jose, California.